When your baby dies, your dreams for her die also. All of the things you spent months imagining while she was flipping and flopping inside you will never happen. You will never see her first smile. Her first steps. Her first tooth. You miss bath time and story time. Cuddle time. Nap time. Bedtime. You will never take her fishing, teach her to ride a bike, go to a baseball game or take her to the beach. You don’t get to see her off to preschool, kindergarten, middle and high school. School dances. Field trips. No graduation. No college degrees. No weddings. You don’t get to see her become a mother. There is so much more. You miss out on all sorts of moments you can’t even name because they are experiences only parents of living children can have. The bereaved parent also mourns the unknown. Would she have a sweet, quiet voice when she said her first word? Would her dad’s silly noises have made her giggle? Would she have been tomboy? Would she be shy or outgoing? What little things would she have said that would have surprised me or filled my heart with joy? Would we have bonded over certain TV shows or musicians? Would she have liked sports? What experiences would we have, whether happy or sad? One thing we do know is how much we love her. And we know she is still with us. But it is really hard to accept that Joanna will never grow up. To honor and remember J, we purchased my cousin’s veil for her wedding, which we were able to attend over weekend. Back when Emily was visiting us in January, my mom and I took her shopping for her gown. 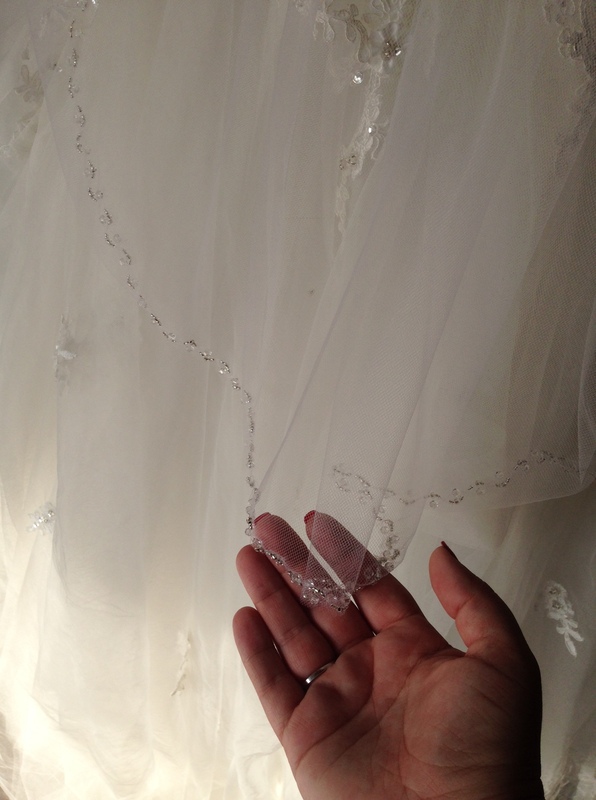 When she had found the dress, we added a veil to see how it looked. Emily loved it and I knew I would need to buy it for her. For Joanna, who would never wear one. 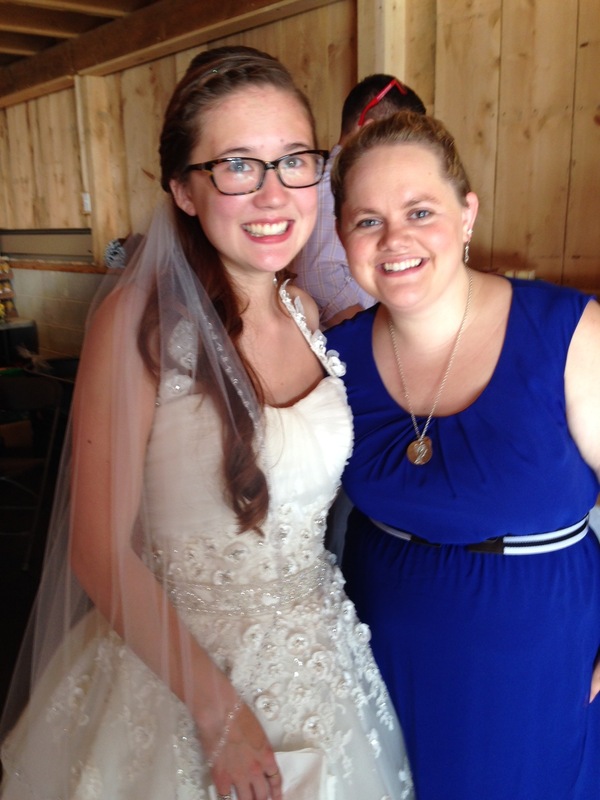 At the wedding, I was so happy to see that veil. Emily was beautiful and the veil completed the look. But I was also so sad. Why isn’t our baby here? Why won’t she get to meet her wonderful family? Why does she have to miss out? All the things we hoped for her…they just will not be. We feel that every single day.